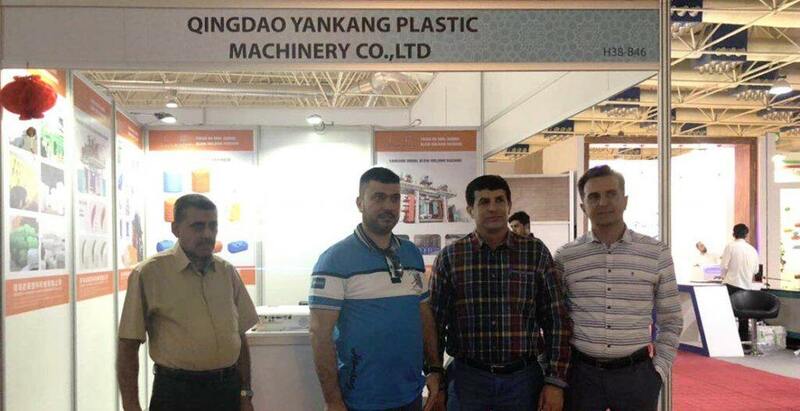 September 24-27，Yankang was invited to attend the 2018 IRANPLAST Exhibition. This is the 12th exhibition of plastic machinery held in Iran since 2002. As we all know，in the fields of Raw Materials, Machinery & Moulds, Auxiliaries and Services for Plastics & Rubber industries，IRANPLAST is one of the largest and most important exhibitions in Iran. It is also one of the most important exhibitions in the Middle East and Asia. 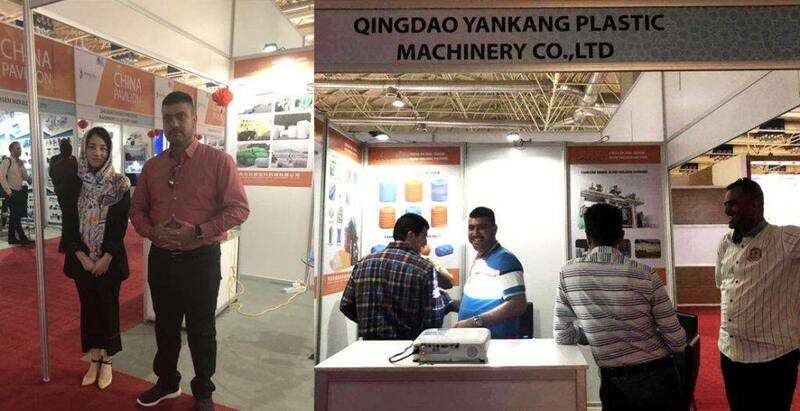 In this exhibition ,Yankang Plastic Machinery has brought many new technologies to visitors. 1.More advanced sensors：makes our blow molding machines more integrated, smarter, and more automated. All parts of the blow molding machine can be monitored on the operation screen, which is safe and efficient. 2.Original SEIMENS control system：guarantees high quality, safe and stable operation with international after-sales service. Of course there are more, you can go to the official website(www.yankangmachine.com) of Yankang for more information. As the most largest water tank blow molding machine manufacturers in China,Yankang attracted the attention of many visitors. In response to visitors’ questions, our exhibitors answered carefully and in detail.And it was unanimously approved by the visitors. Especially about the 20000L water tank blow molding machine, visitors expressed their surprise. Because you know, the bigger the tank, the more difficult it is to produce, the higher the technical requirements.In the field of ultra-large water tank blow molding machines, Yankang undoubtedly has the most authoritative voice. On March 18, 2015,Yankang successfully launched 20000L water tank blow molding machine(click it for more information). Yankang Plastic Machinery focuses on the development and production of 200L-20000L water tank blow molding machines.Followed by IBC tank,rood barrier,plastic pallet,double ring drum,kayak,solar inner,float dock,septic tank,mobile toilet,canoe blow molding machines. Based on these,Yankang also provides blow molding machine auxiliary machines and customized molds. At this IRANPLAST Exhibition,Yankang achieved satisfactory results. We sincerely welcome new and old customers to give us excellent suggestions and new projects in order to optimize our design and enrich our products.